The ASCAP Voice of Music Award is presented to songwriters and artists whose music gives voice to the spirit of a generation. Previous recipients of the ASCAP Voice of Music Award include Mary J. Blige, Diane Warren, Trisha Yearwood, The Doobie Brothers, Jimmy Webb, George Strait and Garth Brooks. As ASCAP songwriters and producers for 34 years, Jimmy Jam and Terry Lewis have earned millions of sales on more than 100 albums that have exceeded gold, platinum, and multi-platinum status. They scored an incredible 16 #1 pop hits, more than any other songwriting and production team in pop history; and achieved the rare feat of writing and producing pop hits in three consecutive decades (1980s, 1990s and 2000s). They are also responsible for 26 songs that reached #1 on the R&B charts. Jam and Lewis started out as part of Prince’s band, The Time, in Minneapolis and aside from Prince, they are widely recognized with crafting the “Minneapolis sound.” After parting ways with Prince, they established a recording studio and production company called Flyte Tyme. Their longtime collaboration with Janet Jackson spawned several #1 hits and solidified them as pop hitmakers. They have won five Grammys and received the most nominations for Producer of the Year, with 11 nominations, and won the award in 1987 at the 29th Grammy Awards, the very first year they were nominated. They have received eight ASCAP Songwriter of the Year Awards – six for Rhythm & Soul Music and two for Pop Music. 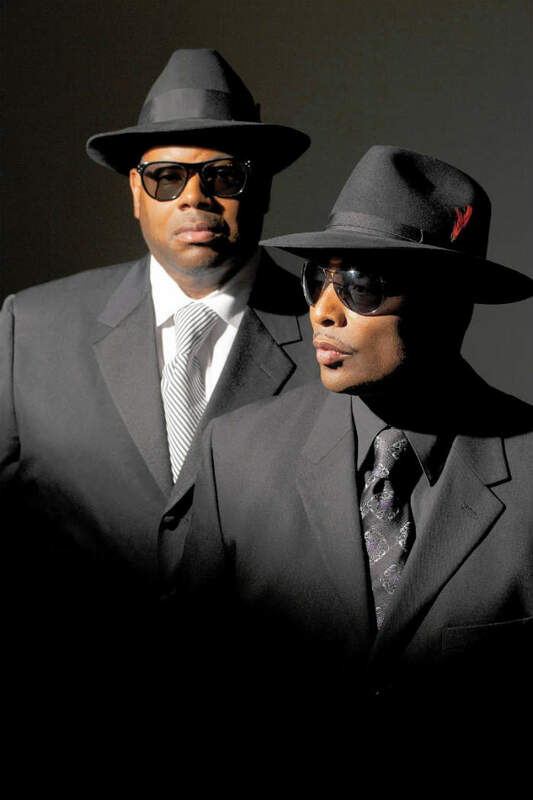 With a remarkable career that has spanned more than three decades, Jam and Lewis have worked with artists such as Herb Alpert, TLC, Sounds of Blackness, Yolanda Adams, Jordan Knight, Michael Jackson, Boyz II Men, Usher, Johnny Gill, Mary J. Blige, Mariah Carey, Prince, Spice Girls, Vanessa Williams, George Michael, Melanie B, Rod Stewart, Kelly Price, Gwen Stefani, New Edition, Eric Benet, Pia Zadora, SOLO, and The Human League. The ASCAP Rhythm and Soul Music Awards will also honor hip-hop legend, Christopher “Notorious B.I.G.” Wallace, with the esteemed ASCAP Founders Award upon the 20th anniversary of his death. Awards will also be presented for ASCAP Rhythm & Soul Songwriter of the Year, Publisher of the Year, Top R&B/Hip-Hop Song, Top Rap Song and Top Gospel Song. The evening will feature performances by several award-winning songwriters/performers, and will be attended by some of the top names in the music and entertainment industry. REVOLT TV is the presenting sponsor for the 2017 ASCAP Rhythm & Soul Music Awards. Ciroc is also a sponsor. Members of the press may apply for media credentials to cover the 2017 ASCAP Rhythm & Soul Music Awards by contacting Strategic Heights Media at info@strategicheights.com. The American Society of Composers, Authors and Publishers (ASCAP) is a professional membership organization of songwriters, composers and music publishers of every kind of music. ASCAP’s mission is to license and promote the music of its members and foreign affiliates, obtain fair compensation for the public performance of their works and to distribute the royalties that it collects based upon those performances. ASCAP members write the world’s best-loved music and ASCAP has pioneered the efficient licensing of that music to hundreds of thousands of enterprises who use it to add value to their business – from bars, restaurants and retail, to radio, TV and cable, to Internet, mobile services and more. The ASCAP license offers an efficient solution for businesses to legally perform ASCAP music while respecting the right of songwriters and composers to be paid fairly. With over 600,000 members representing more than 10.5 million copyrighted works, ASCAP is the worldwide leader in performance royalties, service and advocacy for songwriters and composers, and the only American performing rights organization (PRO) owned and governed by its writer and publisher members. Learn more and stay in touch at www.ascap.com, on Twitter and Instagram @ASCAP and on Facebook.